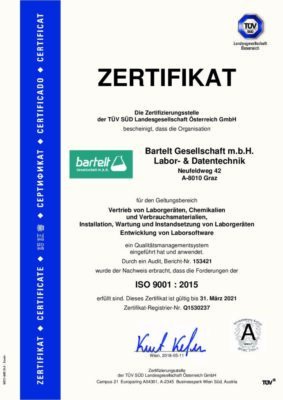 We, the Bartelt company, have always attached great importance to the highest quality standards, their assurance and process optimisation. 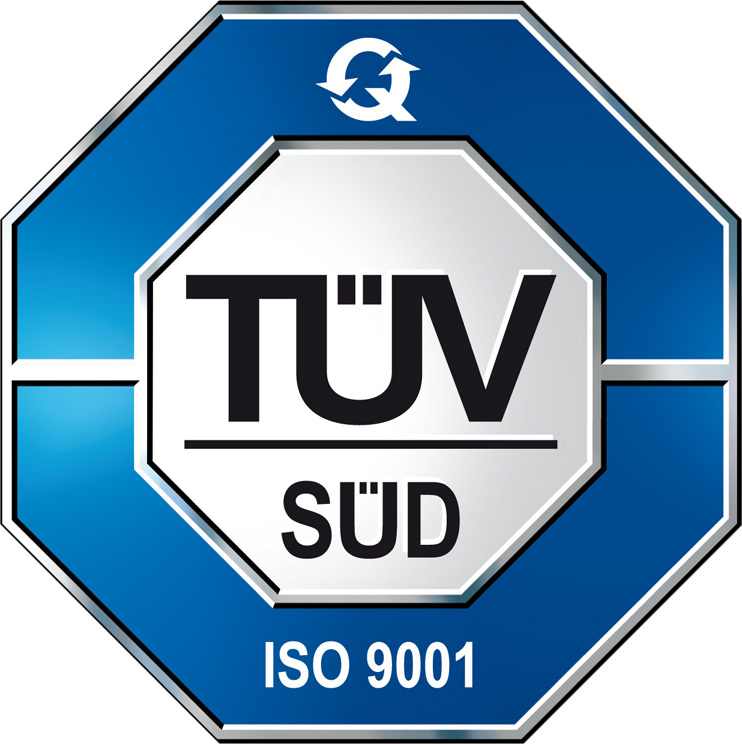 The audit by TÜV SÜD Landesgesellschaft Österreich GmbH has now led to our 6th successful ISO certification. This enabled us to demonstrate the effectiveness of our consistent quality management under the updated ISO 9001:2015 standard. We can already look back on many years of continuous certification! The implementation of the integrated QM system covers all core business areas. The ISO certification according to ISO 9002 was introduced in 1999 under the then managing director Fritz Bartelt sen. 2003 saw the changeover to the more comprehensive QM system ISO 9001:2000 and subsequently ISO 9001:2008 and now ISO 9001:2015. With the ongoing re-certification we guarantee you, our business partners and customers, to meet your expectations of quality and service. With us you have a strong partner for the daily, industry-specific challenges at hand! We are well equipped for all requirements and tasks. For further questions please contact Mr. Martin Wiesner!